Over 14 months of natural curing process. 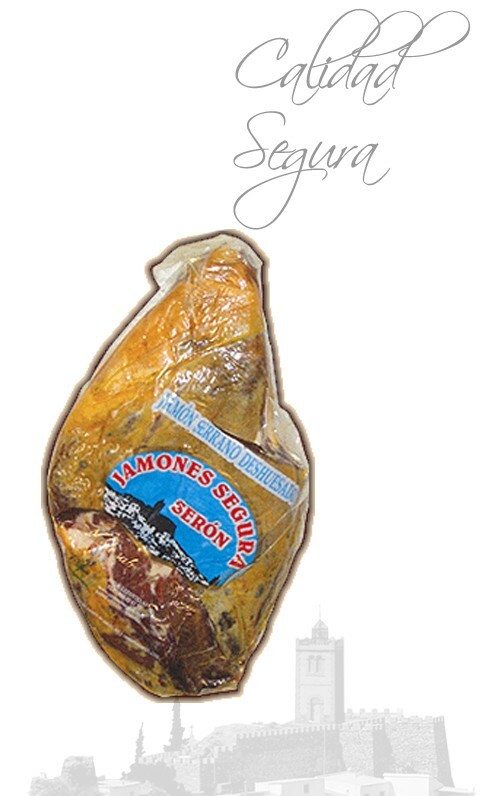 It is a delicious cured Serrano ham in the Sierra de Los Filabres ( Seron ) . 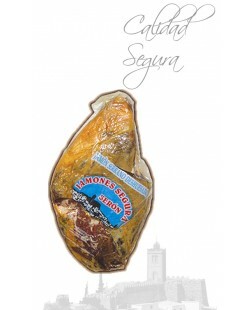 This Serrano ham with natural curing process of 11-14 months with an ideal combination of fat and salt . It is a high quality product for the most demanding tastes. The cellar Boneless Black Label Serrano Ham is made from salting and drying of the hind legs of the pig. The back label accompanying this Ham ( Black Label ) it falls within the rules of the Serrano Ham Foundation indicating that a product is defined as Traditional Speciality Guaranteed (TSG) and not only certifies that the product meets the quality requirements contained in the specification, but ensures a curing process of the producto, all this verified by Independent Control Entities. Similarly , the product is guaranteed by the ISO 22000 certification. The Natural Curing process takes place in the Natural Drying of Sierra de los Filabres, particularly in the small town of Seron with a duration of more than fourteen months. For ease of use, is a ham that is deboned request so it retains all its qualities. The ideal consumption period covers up to six months after your purchase. The ham is delivered vacuum packed to avoid losing their property, then it is put in a cardboard box and perfectly identified. It is perfect for use with the completion of a minimum of effort when being consumed and that the lack of bone allows it to be sliced at home without having to use a ham holder or a ham knife.